View More In Ornaments - Page 9. 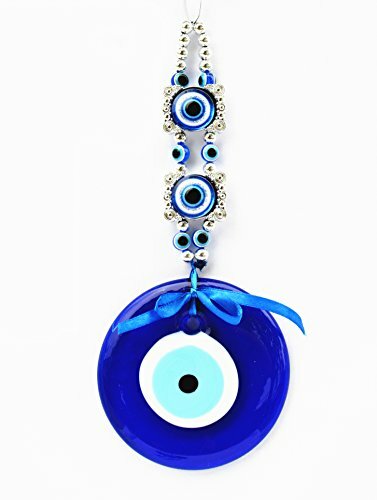 The Blue Evil Eye or Lucky Eye symbol is a famous Mediterranean amulet for protection against the "Evil Eye"or not-so-well-meaning people with the eyes of jealousy and envy who harbor ill-intention towards your family, achievement and good fortune, despite their praises and compliments. It was believed that, this eye saw all the wickedness in the world and removed poverty and ignorance. Total about 9.25. Evil eye diameter-3.75"
If you have any questions about this product by Betterdecor, contact us by completing and submitting the form below. If you are looking for a specif part number, please include it with your message.